The year is 1983, and David Bowie just released his most commercially successful album to date, “Let’s Dance”. With a 10-piece band behind him, he’s ready to embark on what will become his most commercially successful tour to date, as well. The stage is set for Serious Moonlight. 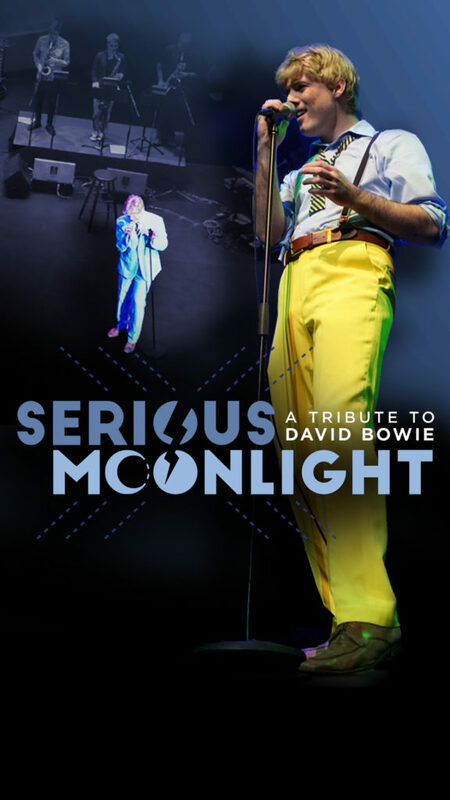 This show pays authentic tribute to that 1983 tour of the same name, with a set list augmented to include some of Bowie’s biggest hits. With live horns, choreography and meticulously prepared production, this is *the* show for Bowie fans.